IR News: Back-to-Back Super Scooter Win for Dan Carlos! 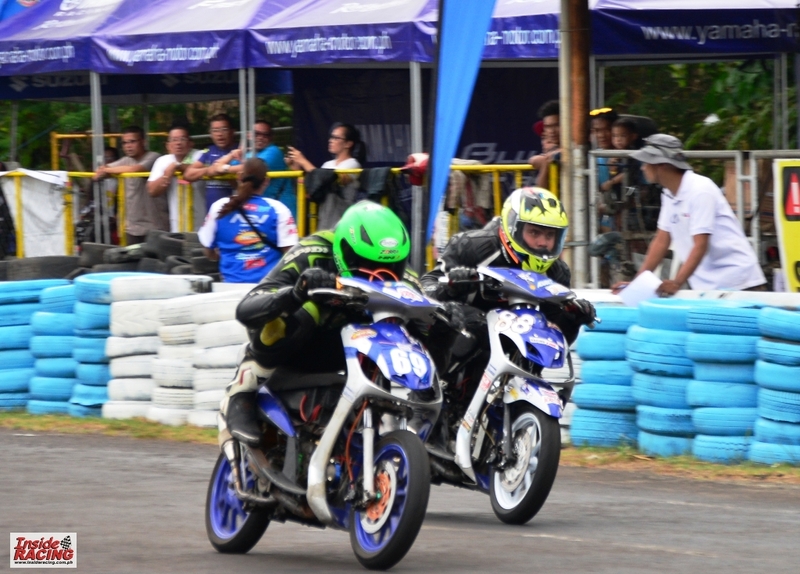 Yamaha 323 rider Dan Carlos from Bukidnon bagged his second straight Super Scooter win in the 2018 Shell Advance Super Series Nationwide Championships. 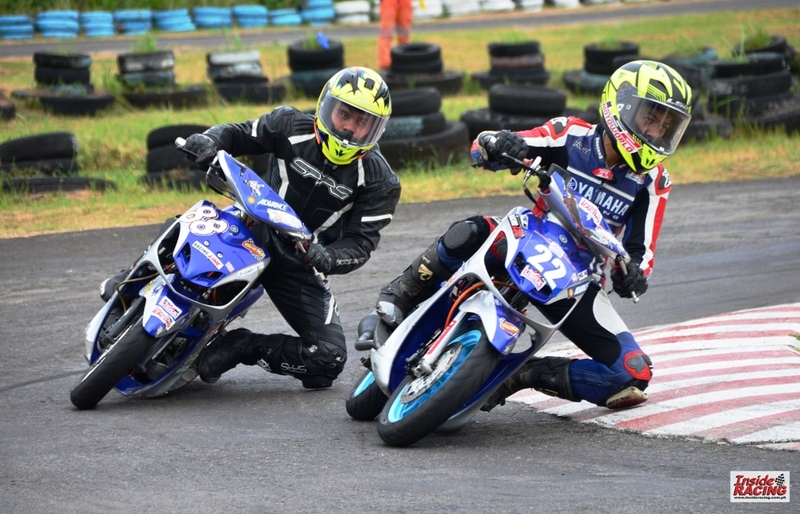 Carlos dominated the said class in the third round in Bacolod last June 24 and continued his stellar performance on August 26 at Kartzone in Cebu where the fourth round was held. Starting on pole position, Carlos led all throughout the race. 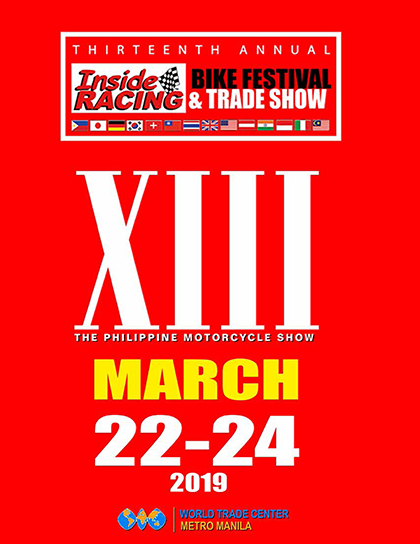 NCX Racing’s Mario Borbon Jr. from Cebu who was third at the starting grid immediately took the second position and chased Carlos. 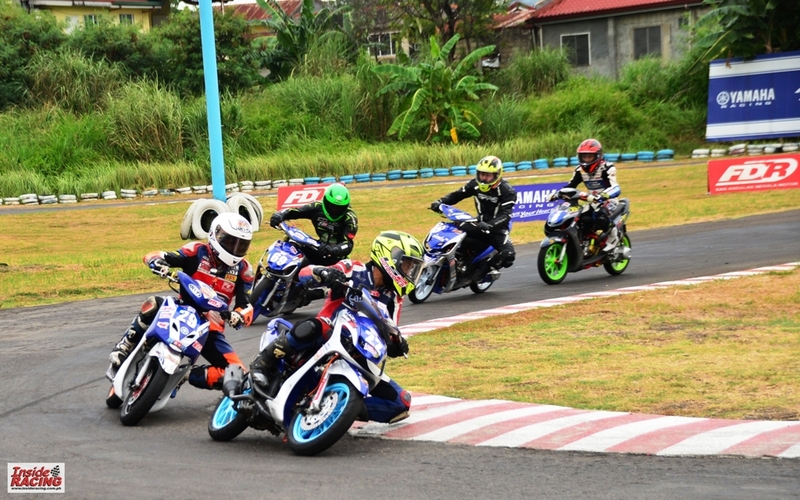 Unfortunately, Borbon Jr. crashed while pursuing Carlos and fellow Cebuano Garry Cañeda Jr. who races for Yamaha 323 claimed the second position. 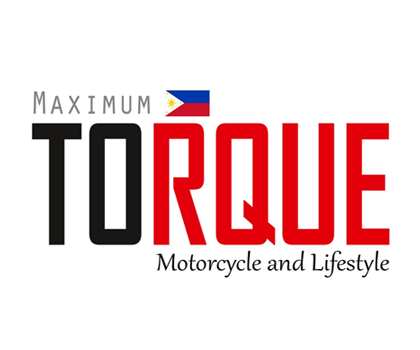 Borbon Jr. crashed once more while trying to regain the second spot. 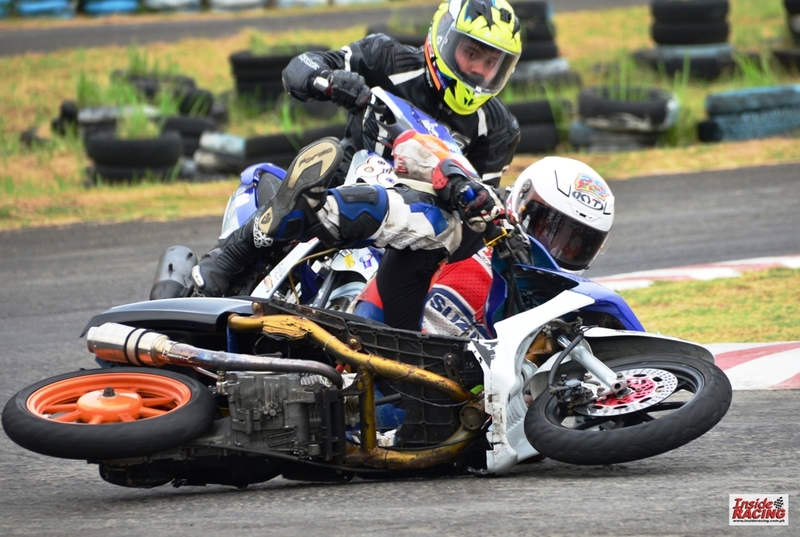 Twist n Go Racing and FI Tech Davao’s Ernie Daguio Jr. took the third spot from him. Fourth to finish the race was Luzon rider Dustin Esguerra of Zebra-MLW. Esguerra was last at the starting grid and remarkably advanced into the third position in the first turn of the first lap. However, he crashed shortly after and eventually settled for fourth place. Borbon Jr. placed fifth. 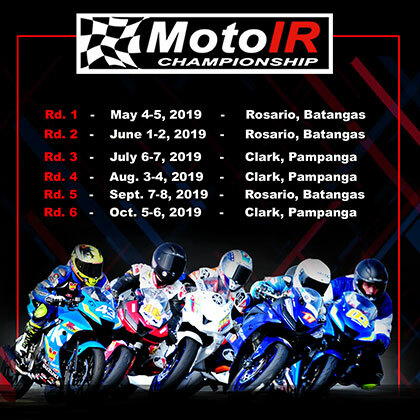 Dan Carlos followed by Mario Borbon Jr., Dustin Esguerra, Garry Cañeda Jr. and Ernie Daguio Jr.
Dan Carlos took home the first place trophy while teammate Cañeda Jr. clinched the second place. 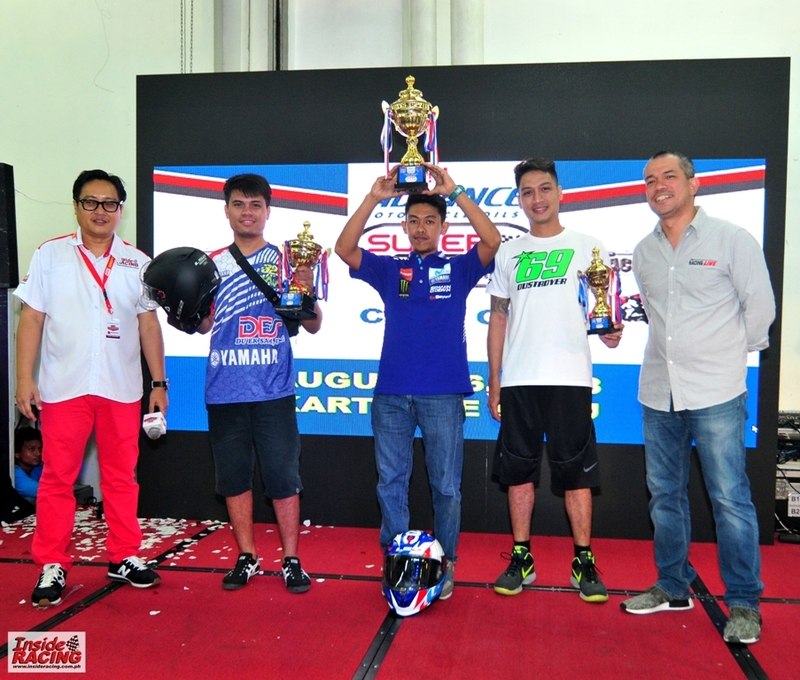 Third place was awarded to Esguerra as Daguio Jr. from Davao was underweight. 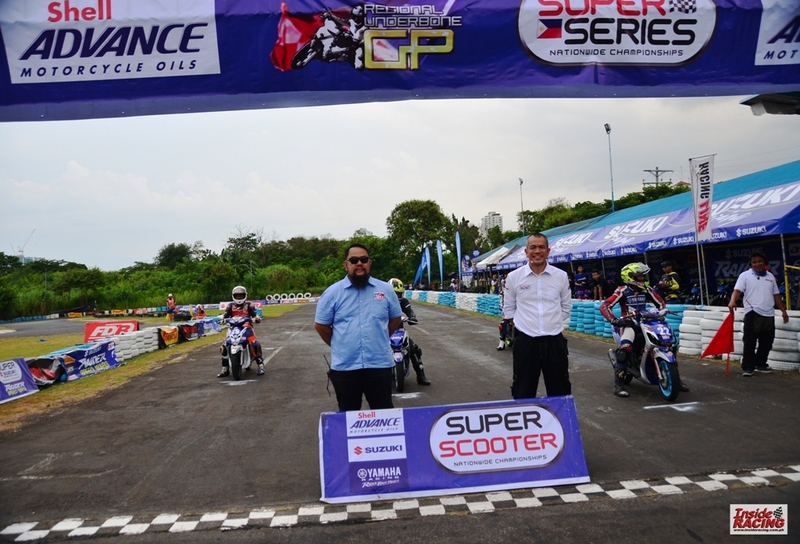 The Super Scooter class is part of the Super Series Nationwide Championships which is now on its third year. 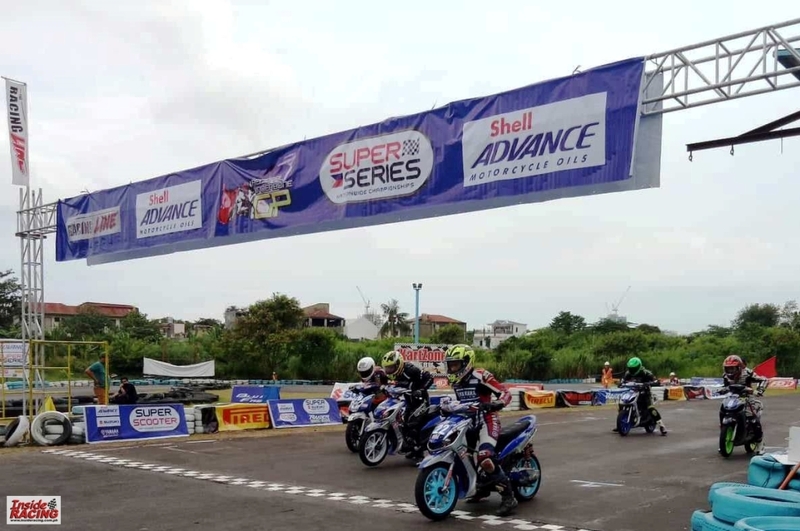 The series is supported by Shell Advance, Yamaha Motor Philippines, Suzuki Philippines, Pirelli Tires and FDR Tires. 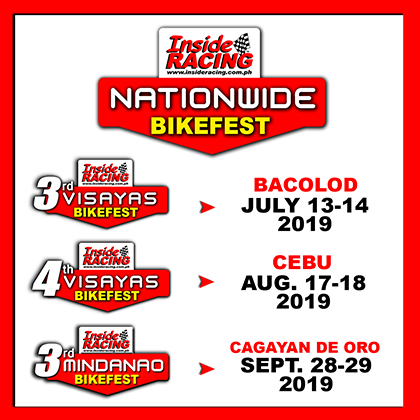 It is sanctioned by the Unified Sports and Racing Association for Motorcycles, Inc. (USRA) and organized by InsideRACING and The Racing Line, two long established race organizers in the country. 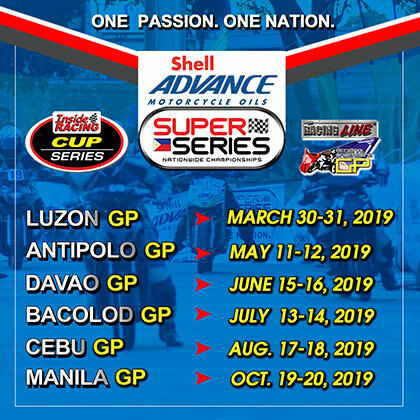 Fifth round of the Super Series is on September 30 in Antipolo.